Kangaroo Island has long had a reputation for foodies as the ultimate land of milk and honey. And seafood. And wine. And dozens of other delicious delights. Here are five experiences you won’t soon forget with the newly announced Kangaroo Island Food & Wine Tours. Stay at Life-Time Private Retreats on the stunning north coast of Kangaroo Island, and you get to dine in the Enchanted Fig Tree and the Shearing Shed. 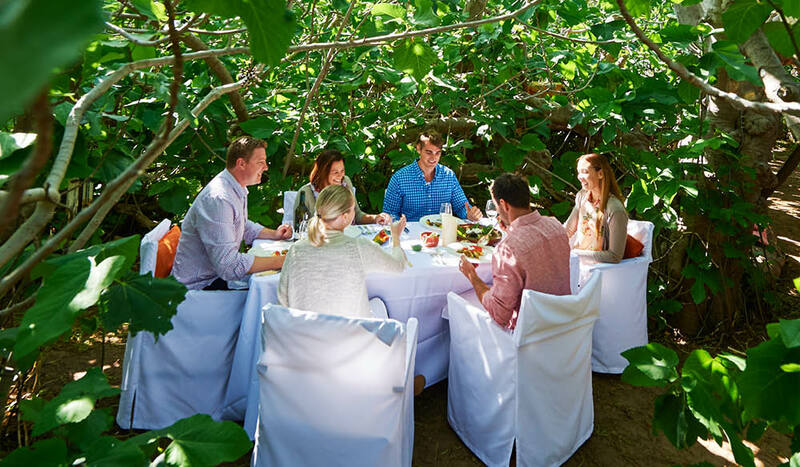 During summer months, you’ll be taken to another world by dining in the 150-year old Enchanted Fig Tree and its ‘dining rooms’ buried deep within the tree; all you see of the outside world is dappled light streaming through fig leaves. It may just be the most magical alfresco dining experience you’ll ever have. Meanwhile, the 80-year old shearing shed is ambient with candlelight, antique furniture and 1920s music playing from the gramophone. Play a game of croquet on the lawn before dinner or enjoy a sky full of stars with some local red wine to keep you warm. Catering specialists, Hannaford & Sachs are charged with creating amazing foodie and dining experiences here, and the food is fresh, local and created with love. Take a step into this breathtaking clifftop cellar door, and you’ll see why Dudley Wines took home a recent cellar-door award. The lawn is made for lazing upon (with a glass of wine), the sun deck is ripe for a lunch stop, and you can also snuggle up next to the indoor fire or have a hit on the one-hole, one-par golf course! 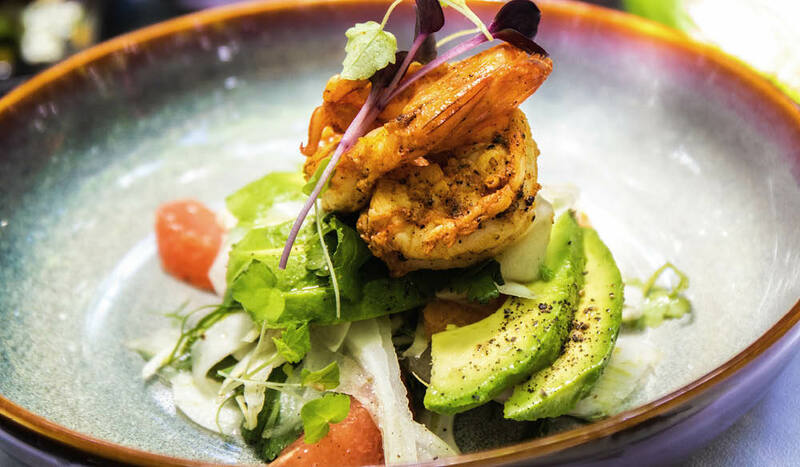 Set aside a few hours to while away, wine-tasting and enjoying gourmet pizzas such as their famous King George whiting pizza and slow-cooked beef and beetroot pizza. There’s also plenty of local produce to buy as a take-home, or just to make up a great tapas plate back at your accommodation. 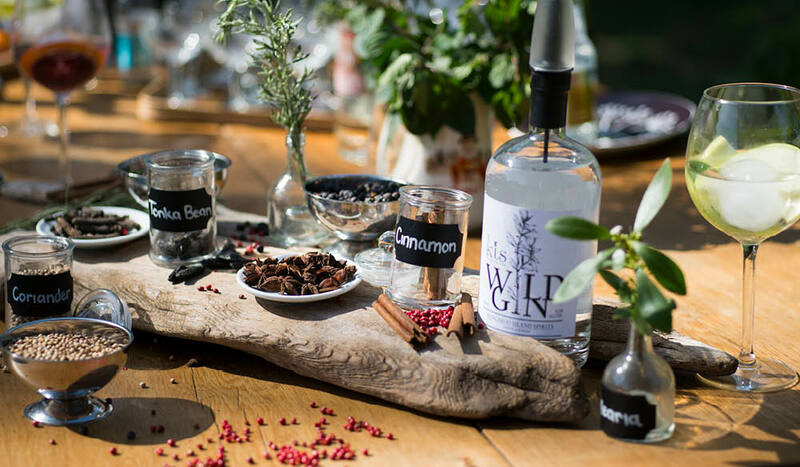 This distillery is South Australia’s first boutique gin distillery, established in 2006 and offering award-winning gins, vodkas and liqueurs. The distillery is rustic, family operated and intimate, with undeniable charm. The cellar door is a hive of activity and all the staff know and love their gin. Indulge in a glass of gin with their signature golfball-size ice cube, local herbs and dehydrated fruits or an equally impressive G&T. Is it even possible to visit Kangaroo Island without enjoying local seafood? We say no. There’s no better place to devour oysters, marron, abalone, abaline (baby abalone) and King George whiting all in one place than the Oyster Farm Shop, another of Kangaroo Island’s unique farm-gate experiences. Look for the turquoise shack with the old petrol pumps out front, right near the Wharf, and you know you’ve arrived. With everything prepared fresh on site, all you need to do is walk across the road to the Wharf and dangle your legs over the edge, tucking right into the oysters farmed 200 metres away in American River. KI Shellfish now also produce award-winning ‘Snaptop Oysters’, snap frozen, pre-topped and ready to eat. This product is packaged in a tray that can go directly from freezer to oven, designed to keep oysters upright during the cooking process. On the banks of the beautiful Cygnet River and Gum Creek on Kangaroo Island is South Australia’s first sheep dairy and cheese factory, opened in 1992. The lifestyle is perfect, particularly if you’re a sheep! This stress-free life allows Island Pure to produce some of the finest sheep cheese and yoghurt available anywhere in Australia. The entire range is handmade on site from 100 percent sheep milk and, although each batch is unique with slight variations, attention to detail ensures all produce is of the highest quality. Lunch is best enjoyed with friends. Enjoy their natural and Ligurian Bee honey yoghurt and feta, kefalotiri, manchego, haloumi and labneh cheeses. Arrive at milking time to watch the fascinating milking process of ‘the girls’ through glass windows. For more information on how you can join one of these immersive new food and wine tours, visit Kangaroo Island Odysseys or call 08 8553 0386.